Almost exactly a year ago, Change The Story VT released “Women, Work, and Wages in Vermont,” the first in a series of reports on the economic status of women. 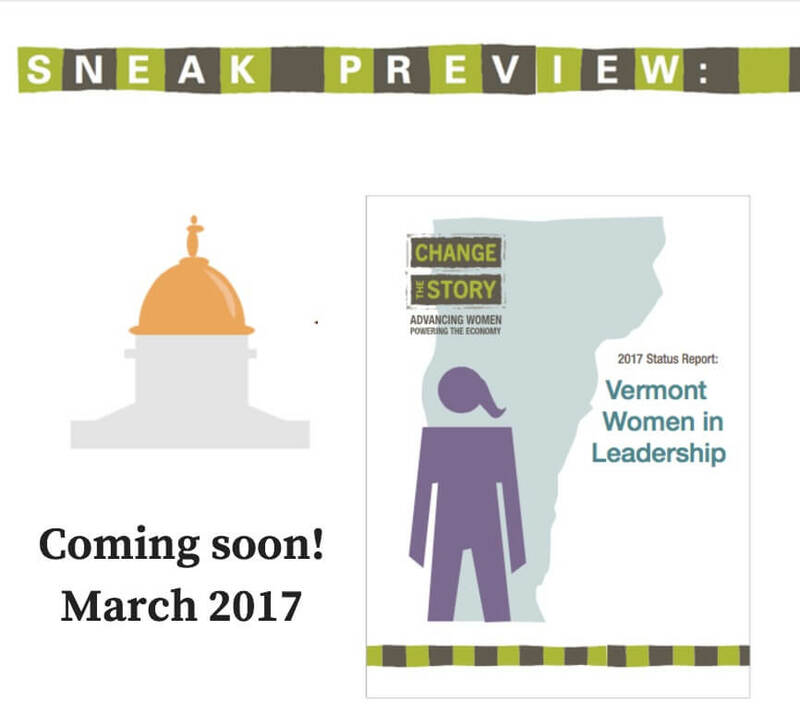 In March 2017, Change The Story will release a fourth report focused on Vermont women in leadership in the public, private and nonprofit sectors. The report examines women’s presence as leaders in higher education, public safety, on corporate boards and in senior management, and on state and municipal boards and commissions. Here is a sneak peek at a few 2016 statistics related to gender parity in the public sphere. Vermont ranks #1 in the country in the proportion of women serving as state legislators. However, just one woman currently holds statewide elective office. Indeed, of the 294 citizens elected to hold statewide office since 1778, just 11 have been women. Vermont and Mississippi are the only states that have never sent a woman to serve in the U.S. Congress. And, while women are a full 90% of municipal clerks, they are just 34% of Vermont’s 94 municipal Managers and Administrators. Just 1 of Vermont’s eight mayors is a woman.